You Think It’s Easy Being the Tooth Fairy? By author Sheri Bell-Rehwoldt is the essential guide for every child who loses a tooth! Kids are losing their teeth all over the place. Guess who has to gather them all up, and leave coins in their places to boot? The Tooth Fairy does! That wonderful Tooth Fairy has to navigate all kinds of hurdles that come with the job! She's constantly needing to dodge overly curious pets while still making sure she’s never seen. It’s a big job, but someone’s got to do it. 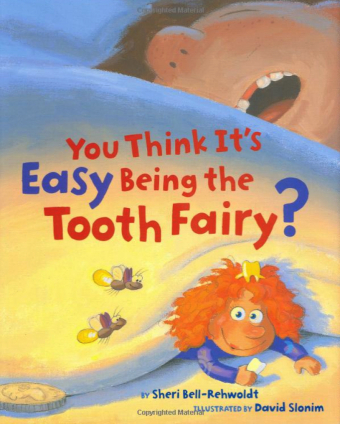 If you ever find yourself thinking, “gee, it must be easy being the Tooth Fairy,” this book will teach you just how wrong you are! Pick up this book today and enjoy a fun and funny read with your kids about the tooth fairy.